The Seattle Archdiocese has a long 150-year tradition of Catholic education in the state of Washington. In 1856, Sisters of Providence Mother Joseph and four other Catholic sisters came to Fort Vancouver, Washington. They opened the first Catholic school in 1858 in small log cabins. Seventeen years later, Mother Joseph helped build the Providence Academy in 1875. Unfortunately, the Providence Academy closed August 4, 1966. 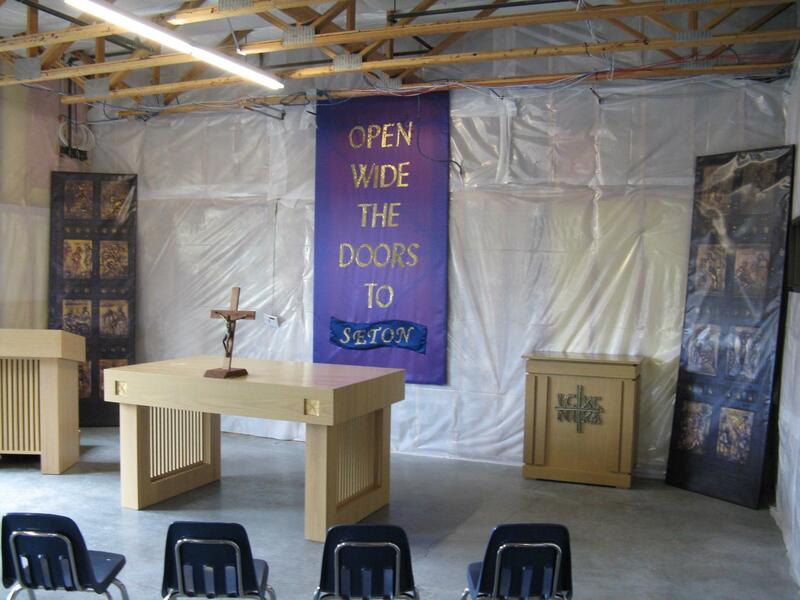 More than 40 years later, St. Elizabeth Ann Seton Catholic High School opened its doors to 38 students in the fall of 2009 after 10 years of work by parents, donors, priests, archdiocese officials and many other volunteers. In the fall of 2015, the school launched a $20 million development project to acquire land and build a new campus. In the fall of 2016, the school welcomed 173 students to our new, 12+ acre campus home to a beautiful 44,000 square foot school, complete with state of the art STEM classrooms, teaching spaces, commons, fitness center, Chapel, comprehensive track & field, and turf soccer & football field. 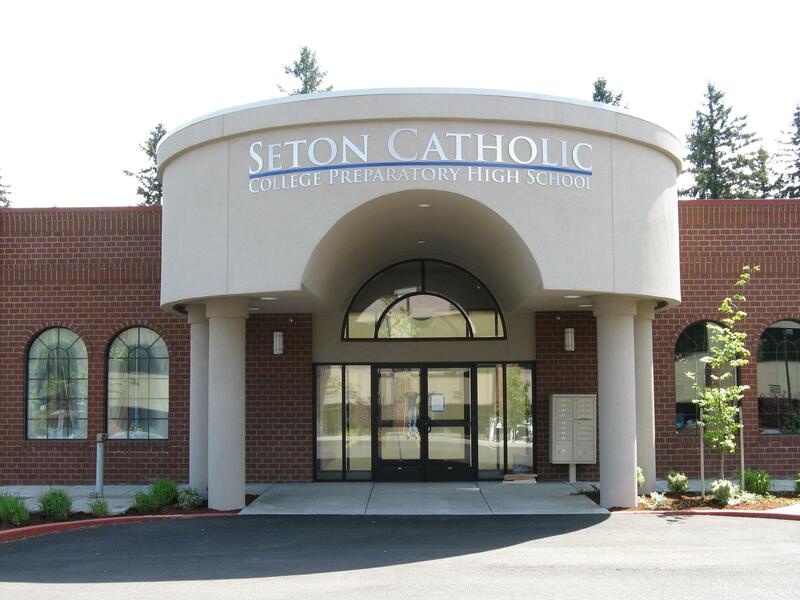 More than 50 years since the doors of the Providence Academy closed, Seton Catholic is thriving with 28 faculty and staff members serving the needs of 200 students. Seton Catholic students have the opportunity to experience 15 Advanced Placement (AP) courses, performing and fine arts programs with an award-winning choir, more than 14 varsity sports and many other extra-curricular programs and clubs. 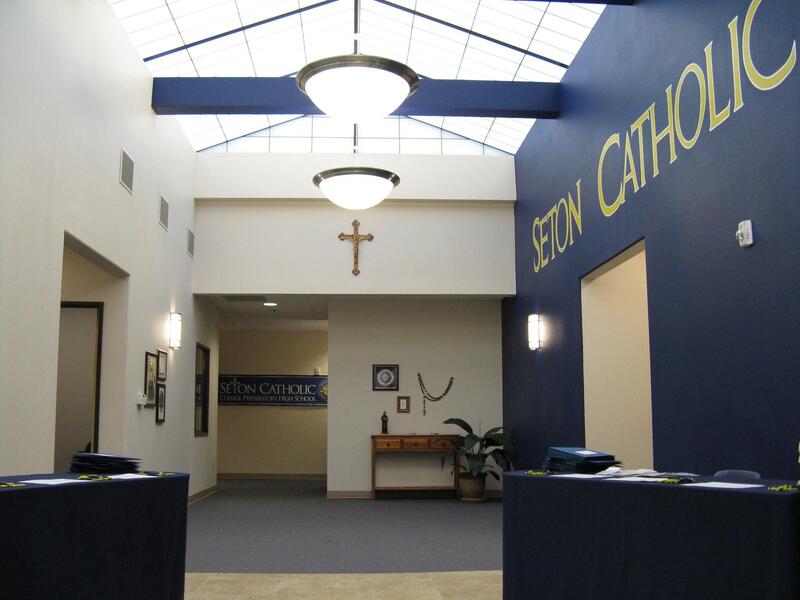 Seton Catholic has a 100% on-time graduation rate and 100% of our graduates have either gone on to a college, university or joined a branch of the United States military for service. Future phases of the Master Plan include additional classrooms, an auxiliary gymnasium and additional student services and administrative spaces that will allow for the campus to serve up to 500 students. "Jesus is as a fire in the very center of our souls ever-burning"
The foundation of Catholic education in the United States is attributed to Mother Seton who was the foundress and first Superior of the Sisters of Charity – the first teaching sisterhood native to the U.S. In 1810 she assisted in the founding of St. Joseph’s Free School for needy girls in Emmetsburg, Maryland. Elizabeth Ann Bayley Seton became the first person born in the United States to become a canonized saint when she was canonized by Pope Paul VI on September 14, 1975. 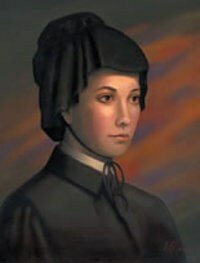 St. Elizabeth Ann Seton died on January 4, 1821, at the age of 46. Her feast day is January 4th. She was a wife, mother of five, a widow, a sole parent, a convert to Catholicism, social minister, educator, spiritual leader and prolific writer. We believe she exemplifies the type of character and leadership qualities we hope to instill in our students at St. Elizabeth Ann Seton Catholic High School.